MAYCOCK EYECARE THREE GENERATIONS-ONE TRADITION Maycock Eyecare was established in 1949 by Jason’s grandfather, Ronald Maycock. For 70 years, it has earned a reputation for service, quality and a unique selection of eyeglass frames. Call today to book an eye exam and see why clients refer their friends and family year after year. Unique series. This fully customizable handmade cabinetry gives you the complete creative freedom to design trend-right, dream-come-true projects featuring top-quality materials and outstanding Cabico craftsmanship for long-lasting beauty and functionality. ELEGANT & SOPHISTICATED NEED WE SAY MORE? Vivid colours are the new trend, but vibrancy in both physical wellness and spirit is always in style. “I had a few preconceived ideas for this fashion shoot: glowing skin, intriguing juicy drinks, vibrant, playful lip colours. However, when these ladies came together, they brought it to the next level. Admiring more than their beauty, I discovered their creative force and wisdom is legendary! Thank you Linda, Susanne and Malta.” Jen is a Victoria-based makeup artist. “One thing I loved about this issue’s feature home was that the in-ground pool and accessory garage were built by the previous owner, for whose family the street was named. 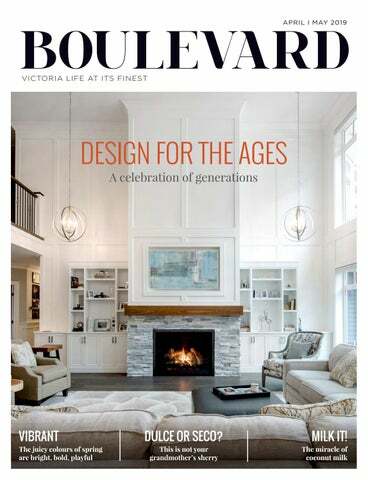 I loved that Carol and her family kept them in the midst of major construction and preserved that little bit of Victoria history.” Angela Cowan is an award-winning freelance writer and editor who contributes regularly to Boulevard magazine. Find her on Twitter @angela_m_cowan. “It was such a gift photographing these three women for the fashion story; one I have know since I was a child, one for over a decade and one has recently come into my life. But I admire and am inspired by their grace, their quiet confidence and their style.” Lia is a stylist, creative director, photographer and writer with a long history of working in the fashion industry. DON DENTON BOULEVARD PHOTOGRAPHER: MILK IT! “I love coconut so in this issue’s food assignment with Chef Heidi Fink, it was particularly challenging to keep my focus on the photography rather than the sampling of ingredients and dishes. Luckily, there was time to taste test all the dishes at the end. A personal eyeopener was the simple addition — with a heavenly result — of coconut to rice pudding.” Don has photographed numerous high-profile events, including the Olympics, World Hockey Championships and a Royal wedding. “The chance to show off coconut milk’s wonderful culinary capacities has me really excited. It was fun to share the recipes with the photographer, director and the host of this month’s photo shoot. Even more fun is sharing my favourite coconut milk ’hacks’ in this issue’s article.” Heidi Fink is a chef, food writer and culinary instructor, specializing in local foods and ethnic cuisines. HEIDI FINK WRITER: MILK IT! “The Dempster Highway was one of the hardest road trips I have ever done, and I am already planning my return trip back this September. The North is a place I need to understand further.” Darren is an editorial and commercial photographer, who has earned a reputation as one of Canada’s top image makers, with work informed by a strong sense of storyline. “This month I have gathered pieces that combined, create a put-together room of items with overlapping connections to one another.” Janice is an interior designer who creates well-functioning spaces with an eye-catching mix of playfulness and refinement. “I loved hearing about JM Ledet’s secret sanctuary — a mysterious local greenhouse he leases filled with over 1,000 palm trees, offering him a taste of the tropics without the requirement of international travel.” New Brunswick-born and a longtime Vancouverite, Erin McPhee is a professional communicator and award-winning writer currently getting to know Victoria. “I’m always on the lookout for creative artisans on Vancouver Island. At Live Edge, designer Stephanie Farrow and her colleagues represent a new and exciting direction.” Sean is a freelance writer based on Salt Spring Island, where he now keeps a keen eye out for the hidden gems and treasures in the natural world that surrounds him. “A collection of all things artsy, fun and spectacular happening in Victoria this April and May. Enjoy a retrospective of master portrait painter Myfanwy Pavelic, the legacy of Louis Armstrong as celebrated by trumpeter Patrick Boyle and an engaging comedy-drama at the Belfry Theatre.” A born and bred Victoria native, Robert is a longtime freelancer and editor whose main focus these days is arts journalism. “Working in TV news, I’ve seen how tragedy or a freak accident can completely alter someone’s life. In Blaise McDonald’s case, a serious wakeboarding accident changed his career trajectory and led him back to the family business. But it just shows that sometimes something that seems bad can turn into something so much better.” Tess is an award-winning journalist and television personality who has had the privilege of interviewing people for more than two decades. “Walking into the feature home for the first time, it was truly heart-warming to see all the care, detail and attention taken to incorporate the entire family’s likes and interests, including the beautiful kitchen, where Carol bakes special treats for her family, and the incredible regulation soccer field right out front for their son. “ A professional photographer for over the past decade, Tamara currently owns and operates Hudson Wren Portraits with studios in Victoria and Vancouver. “Many people, myself included, have the wrong idea about sherry. While researching this story, I learned WRITER: DULCE OR SECO? that these fortified wines are decadently delicious, from first sip PAGE 54 to last drop.” Jane is a longtime writer, editor and communications professional. If these items made up a room as they do on this page — wow — I would love to hang out there! The relationship between items is subtle, haphazard and yet cohesive. The delicate craft of furniture caning against the hard edges of brutalism-style candleholders. For myself, interior design is about breaking conventional rules and watching the beauty emerge. and served. At the restaurant, we like to cure it with salt and sugar and use it in salads with greens and various cheeses. And we also want to try fermenting it this year, much like cabbage.” Why not invest in some “stalk” yourself and try incorporating the vegetable into your springtime culinary regime in some new ways? To get you started I’ve included one of my favourite ways to employ rhubarb — in a light and refreshing salad. Bon appetite! beets and walnuts and toss well. Divide evenly on 4 salad plates and top with rhubarb and crumbled goat cheese. Serves 4. Rhubarb 101 Don’t eat the leaves! Rhubarb leaves are toxic —they contain high levels of oxalic acid and may contain poisonous glycosides. The redder the stalk, the sweeter the rhubarb. Avoid stalks that have brown spots or appear too green. Clean rhubarb by wiping it with a damp cloth. Do not rinse it in water as this will split and wilt the stalks. Washed and dried rhubarb will keep in the refrigerator for three to four days. Peeling rhubarb is unnecessary: simply remove stringy pieces by pulling them from the stalk. Researchers have identified over 40 polyphenol compounds in rhubarb, including anthocyanins, the disease-fighting pigments that make blueberries so nutritious. Cooking rhubarb actually increases its polyphenol content and overall antioxidant capacity. When cooking rhubarb, there’s no need to over-sweeten it with mountains of sugar. You can “tame” the tart veggie’s tang by cooking it with orange or pineapple juice and by adding sweet spices to the mix, such as cinnamon, ginger or orange zest. Brought to you by the Tapa Bar and Bodega. LABS of immaculately hewn maple, walnut and arbutus await delivery in the loading bay at Duncan’s Live Edge Design. Nearby, contemporary, resininfused countertops are contrasted with the clean simplicity of a rustic dinning room table. All are works of art that infuse an otherwise nondescript industrial park with a sense of magic that lures visitors to ponder the inspiration and skilled craftsmanship at the heart of each piece. “No tree is firewood in our eyes,” says designer Stephanie Farrow. “No two pieces are the same, and I love working with the challenges of each piece.” Stephanie says it isn’t uncommon for projects like these to start as a vague idea concealed in someone’s mind or as a rudimentary napkin sketch. The exciting part of her work, Stephanie says, is helping clients transform their visions into the finished products that will occupy honoured places in homes and workplaces. Part of her job at Live Edge involves touring visitors and potential clients through the company’s site. Each tour starts outside near the mill. Participants stand surrounded by 12-foot long slabs of maple, solid cubes of wood milled from massive roots and gnarly wooden hulks whose origins stir the imagination. Along a wall are uniformly cut lengths of alder, a common species found across Vancouver Island, are laid out to dry along a low shelf. They’re destined to fuel a surging demand for woodsy bed frames, chairs and coffee tables. There’s no missing the remnants of a 200-year-old maple tree, though one could be forgiven for questioning if the truck-sized mass could possibly have come from a single tree. The tree’s massive bulk was hauled out of a peat bog in a farmer’s field near Chemainus last year. “The biggest crane they could find on the island wasn’t big enough,” Stephanie says. 2250 Oak Bay Ave, Suite 210, Victoria | 250 384 1791 | justyouboutique.com (Corner of Oak Bay & Monterey, behind Oaks Restaurant) Amoena is a registered trademark of Amoena Medizin-Orthopädie-Technik GmbH. room to experiment. Being able to show a client how an idea will look and work has the added effect of bringing some of the more outlandish ideas closer to reality. “With wood going in all sorts of different directions and the use of metals and glass, sometimes we need to test the physics of an idea beforehand,” she says. “We often have to send a video to show that it just isn’t possible.” The end result, however, is always a work of art that stands as a source of pride for the client, designer and each of the craftspeople who contributed to the project. The essence of each project is ingrained in their collective memories long after a piece heads out the door for delivery. Stephanie says she always feels a strong sense of pride when she comes across a Live Edge piece in situ months or years after it was built. “Wood has a grounding effect; it keeps spaces natural. Materials like stone and wood have a natural element that balance out the synthetic elements,” she says. “I fall in love with everything that comes out of here, and want to make sure they’re amazing for years to come if they have our name on it.” Tours of the Live Edge facility are available year round Mondays through Saturdays at the company’s production and design facility south of Duncan at 5195 Mearns Road. For more details visit liveedgedesign.com. The oneTree runs from mid-November to mid-February at the Robert Bateman Gallery in Victoria. from concept to completion. We’re excited to introduce our new design division! widened 18 inches. Each on-site change brought a new level of balance and life to the house that would have been missing in the original schema. The single, curved staircase creates a pleasant asymmetry on entering and invites guests naturally into the kitchen, where the U-shape island offers three separate, plentiful working spaces for a family that eats and cooks a lot. The wine room, with its custom black walnut shelving and terra cotta-style tiling interrupts the smooth whites and greys with rich and lush colour, and injects a little feeling of Italy into the centre of the living space. Even widening the catwalk that foot and a half balanced out the proportions and gave it a needed weight in the midst of a grand and spacious entranceway. From design to completion, the process was adaptable and grew with the house. And it all came down to the huge level of emotional and professional investment from across the board. “We all had passion,” says Rov. “Susan and I, even though we don’t live here, we wanted to see it done right.” Doing it right sometimes meant disagreements between the homeowners and trades, or Rov and Susan, but ultimately everyone came to the project wanting the best for the home and its design, and the combined effort of expertise has paid off in dividends. The house is unquestionably exquisite, and most importantly, it fits Carol and her family. “We wanted something special to us,” she says. “It feels comfortable. It feels like it’s a family home. I really appreciate the passion that Rov and Susan and the trades put in. We were blessed and grateful with all the trades we worked with.” Rov leans his head back, taking in the finished house with a smile. Visit our gallery of exquisite hand knotted wool & silk carpets Custom size, color and patterns are available. Come visit our beautiful, bigger store with easier parking and new designs arriving monthly. Bright, bold and playful, the juicy colours of spring celebrate the return of life and — with no apologies — proclaim, “Look at me!” Vivid colours are the new trend, but vibrancy in both physical wellness and spirit is always in style! Floral Hepburn silk dress ($479) by InWear from Hughes Clothing; dusty rose sandals ($230) by Sol Sana and grey sheer scarf ($48) by fracas from Bernstein & Gold. Opposite page: On Mellta: Orange satin dress ($575) by By Malene Birger, gemstone earrings ($305) by River Song, both from Bernstein & Gold. On Suzanne: Blue satin dress ($575) by By Malene Birger from Bernstein & Gold. On Linda: Red clay shift dress with back detail ($495) by By Malene Birger and gemstone earrings ($305) by River Song, both from Bernstein & Gold. Satin â&#x20AC;&#x153;Jaydeâ&#x20AC;? jumpsuit ($450) by Xirena, grey diamond cluster pendant ($1,918) by Ruth Tomlinson from Bernstein & Gold; tan Olympic knot slide platforms ($329) by Homers from Footloose Shoes. Dandelion midi tea dress ($695) by Smythe, grey diamond cluster pendant ($1,918) by Ruth Tomlinson and gemstone earrings ($305) by River Song, all from Bernstein & Gold; white slingback flats ($258) by Frye from Footloose Shoes. On Mellta: Printed linen tunic ($199) by Bryn Waler, charcoal crinkled trousers ($249) by Grizas, both from Auréa; yellow suede slides ($249) by Homers from Footloose Shoes. On Suzanne: Embroidered rose beige tunic ($149), silver linen trousers ($229) by Grizas, and chunky metal necklaces (between $39 and $49), all from Auréa; tan Olympic knot slide platforms ($329) by Homers from Footloose Shoes. On Linda: Floral printed linen tunic dress ($259) by Bryn Waler and linen scarf ($89) by Yuvita, both from Auréa; coral red slides ($180) by Shoe The Bear and gemstone earrings ($305) by River Song, both from Bernstein & Gold. Lavender blazer ($795) by Smythe, gemstone earrings ($305) by River Song, both from Bernstein & Gold. Makeup and hair: Jen Clark, in-house makeup artist for COSMEDICA, using glo.MINERALS makeup. Models: Linda Giles, Mellta Swift and Suzanne Whyte. Assistant: Vellar Chou Photographed on location at Upside Studio in Fan Tan Alley: a huge thank you for hosting our team. The nuanced, flavourful and diverse drink is experiencing a Renaissance Chili Berisoff, bartender at Bodega Tapas and Wine Bar. COME LISTEN There has never been a better time to be a music lover. Hear music as the artist intended with extraordinarily flexible, sonically capable component. Emily didn’t know much about sherry herself when Bodega first opened in 2014. “It was having a bit of a renaissance, so we thought it would be fun to highlight it on our menu,” she says. Now a serious enthusiast, Emily sees sherry as a remarkable, regionally specific drink. “It’s had a bad rap for a long time, but it’s so nuanced and it’s just meticulously made,” she says. Emily has also converted members of her staff, like bartender Chili Berisoff. “I didn’t know anything about sherry until I met Emily,” says Chili. “Sherry has unlocked a whole new world for me. It’s trained my palate and made food so much more pleasurable.” Sherry has been produced in southern Spain’s “Sherry Triangle” since about 700 AD. The main production towns of Jerez, Sanlúcar de Barrameda and El Puerto de Santa María offer chalky soil and a unique microclimate that is ideal for aging, storing and blending the fortified wine. Naturally occurring yeasts, known as flor, are an essential component of the sherry-making process and impart sherry with its trademark nutty flavour. There are six different types of sherry — fino, manzanilla, amontillado, oloroso, cream and Pedro Ximénez. Most of the paler, drier varieties are made from Palomino grapes, while the sweeter, richer sherries are made from Pedro Ximénez and Muscat grapes. To separate the wheat from the chaff, Emily provides pairing guidelines to her staff to help patrons choose a sherry. “We tell them, ‘If it grows, pair with a fino. If it swims, pair with a manzanilla. If it flies, chose an amontillado. If it runs, try an oloroso or a palo cortado. And if it’s blue cheese or dessert, try a Pedro Ximénez.’” But there aren’t really any hard and fast rules for pairings, she says. “A lot of it is individual taste. A fino can be equally great with seafood or a salad.” I’m intrigued as I slowly lift a pale-coloured sherry called Hidalgo Fino Clasica to my lips. I savour its dry, tart-apple notes then pop a plump Cerignola olive into my mouth. The pairing is incredible: the briny, refreshing sherry perfectly complements the buttery flavour of the mild, meaty olive. I know one thing for certain: This isn’t your grandmother’s sherry. Nor are the dozen or so other sherries Bodega offers by the glass on its drinks menu. “It’s amazing how much they vary from one another,” Emily says. “Some are salty and very dry, while others are so sweet you can pour them over ice cream.” Bodega serves sherry flights of three one-ounce pours so beginners and connoisseurs can compare a range of sherry styles. “The more you learn about sherry, the more you appreciate it,” Emily says. Both fino and manzanilla sherries are biologically aged in barrels covered by a layer of the flor yeast. Manzanilla sherry, a fino that’s sent to age on the coast, has a distinctive briny note. Vessel Liquor Store 1609 Fort Street, Victoria (778) 265-8375 Carries a wide selection of port styles at all price ranges. The Big Book of Sherry Wines. Edited by César Saldaña (2006; Consejo Regulador and the Spanish Ministry of Agriculture). This comprehensive reference book can be downloaded in PDF format at sherrynotes.com/2014/sherry-news/sherrybooks/essential-books-on-sherry/. Click the download link in the description of the book. Help support BCSPCA by having a portrait created of your fine canine to be featured in our coffee table book, "A Collection of Tails." Hudson Wren in now accepting applications in our Victoria & Vancouver studios. 5185 Agate Lane Cordova Bay $3,795,000 Gated oceanfront manor set on a quiet lane with sweeping ocean views. The grand formal entry welcomes residents and guests and offers a glimpse of the beauty found within. The masterful open plan encourages entertaining, seamlessly flowing from room to room, with dynamic seascapes framed by walls of glass in all principle rooms. The tranquil backdrop creates a calming atmosphere that perfectly accentuates the modern design aesthetic. 2529 Goddard Rd Sidney $1,950,000 Custom built masterpiece that takes full advantage of the pristine seaside location. Steps from the ocean, the serene setting is captured within by floor to ceiling windows, which also contributes abundant natural light. The interior is modern and sophisticated and superior craftsmanship is evident throughout. Set in prestigious Tanner Ridge Estates, this sophisticated residence boasts modern updates throughout, with a fresh design aesthetic that is elegant and engaging. The home is bright and inviting, with warm hardwood flooring welcoming guest and residents and extending through principle rooms and contributing warmth and a touch of the natural environment. This beautiful waterfront home is warm and inviting. Enjoy low bank waterfront, take evening beach walks or launch kayaks from your back yard. Abundant natural light is provided by large picture windows, which artfully frame the stunning ocean vistas which captivate upon entry. Warm hardwood flooring extends throughout the main level, enhancing the comfortable atmosphere. Charming ocean view Oak Bay manor completely renovated, with hints of old world charm throughout. Bright main with timeless design aesthetic. Sweeping ocean views from principle rooms. Contemporary kitchen with top of the line appliances with adjacent eating area and sunroom flooded with natural light. Sophisticated dining room opens to family room with shared fireplace - ideal for entertaining. This executive Penthouse suite has been custom designed, harmoniously blending two premium suites into one luxurious oasis. Soaring 11 foot ceilings exaggerate the space and create and open and inviting atmosphere. The entry formally welcomes residents and guests and allows glimpses to the lavish living space within. Sophisticated residence positioned just minutes from the ocean. The modern interior is bright and inviting, with an open concept that encourages entertaining. Functional layout maximizes space and is enhanced with vaulted ceilings and a skylight the floods the home with natural light. An independently owned and operated licensee of UMRO Realty Corp. Unique 10 acre sheltered oceanfront headland with 1,620 ft. of shoreline & 2015 custom 5,672 sq. ft. home. Stunning private dock, a launchpad to some of the most coveted sports fishing grounds on the West Coast. Oceans, mountains & islands! Expansive ocean & mountain views from this quality built 2009, 3-bed, 3-bath, 2,008 sq ft. condo in the Two Waters development. Luxury 1 bedroom penthouse with south east ocean views & 11 ft. ceilings in a boutique, 2016 building with superb finishes. Pets welcome! Enjoy active Harbour Views from this 1,073 sq. ft. 2-bed, 2-bath condo on the Songhees Walkway in Mariner’s Landing. Sotheby’s International Realty Canada, Independently Owned and Operated. E.&O.E. 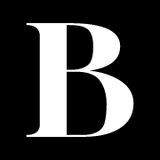 : This information is from sources which we deem reliable, but must be verified by prospective Purchasers and may be subject to change or withdrawal. Not intended to solicit properties already under agreement. Chic & fully reno’d beachfront cottage w/sep suite! I N T R U S T E D R E A L E S TAT E T R A N S A C T I O N S .
Krista V is proud to announce that she has teamed up with her youngest son Mark. Mark comes from a diverse educational background that has shaped him into the personable and detail oriented person he is today. Coupled with Krista’s expertise, warm hearted and outstanding customer service, Krista and Mark are the team that you want representing you in the sale or purchase of your home! Let us help you every step of the way…. Enjoy amazing inner harbour views and activity from your 413 sq. foot verandah at the prestigious Shoal Point. This immaculate 2 bed 2 bath condo is waiting for you. Amenities include a 25m lap pool, hot tub, gym, sauna, guest suites and concierge. Enjoy Fisherman’s wharf, downtown & strolling on Dallas Road, all at your doorstep! Bright, modern, unique two level condo steps from downtown! This spacious, steel-concrete condo has a town house feel, elevator access to both levels and has its own private heated garage (a rarity for a downtown condo)! Pets allowed and unrestricted rentals. Unique, spectacular waterfront location! This immaculate 3 bed 3 bath end unit town home is located along the West Song Walkway and is walking distance to downtown. A large beautiful heated solarium and over 600 sq.ft. of wrap around deck that faces South & East with amazing views of the Inner Harbour and the Olympic Mountains. Victoria Oaklands | $839,000 This bright & sunny home is perched high on the street with wonderful mountain views from the kitchen, sunroom, living room & deck! 3 bed, 2 bath with a studio suite, the main floor is completely updated. Great location, close to Oaklands School, and bus stop to UVic or Downtown. We’ll make it easy for you to achieve your goals! The Associates of the Art Gallery of Greater Victoria volunteer, promote and support the Gallery through fundraising events and programs. & ASSOCIATES Rebecca, Nancy & Sophia Together this dynamic team offers their clients in-depth knowledge of Victoria’s real estate market and the characteristics of the array of neighbourhoods under consideration. LIVE ACTIVE BUYING OR SELLING? CONTACT OUR TEAM TODAY. briggsstrattonteam@sothebysrealty.ca STRATTONANDBRIGGS.COM Sotheby’s International Realty Canada, Independently Owned and Operated. Not intended to solicit properties already under agreement. OCONUT milk is a wonder in the kitchen. It is a dairy-free miracle of creamy liquid that enriches every recipes it touches. Coconut milk is not only a wonderful substitute for dairy products, but a delicious ingredient in its own right. We most often encounter coconut milk in Thai food, cooked into rich curries and flavourful soups, but it can be used anywhere you might use cream in recipes. Think homemade ice cream, puddings and cakes; whipped toppings and custards; soups, dipping sauces and marinades; and, of course, cocktails and smoothies. Its high fat content often scares people off, but coconut milk has a ton of health benefits. It is high in magnesium, potassium and selenium; its fat comes in the form of a medium-chain fatty acid called lauric acid, one of the healthiest and most digestible forms of fat for human consumption. So enjoy that creamy coconut whip to your heart’s content! Good coconut milk has a mild sweet flavour and rich mouthfeel, which works well with all kinds of foods. I love it equally in seafood curry and sweetened on fresh berries. It can also be used to revive dried coconut into a great approximation of fresh coconut. (Those of you who have tried making authentic South East Asian or Caribbean food know the pain of trying to find, open, peel and grate a fresh coconut.) I’ve included instructions below for this great “fresh” coconut hack! Most importantly, good coconut milk should not be “milky” at all. It should be thick and creamy, solid enough to spoon out of the can; not runny like milk. See the sidebar below for tips on how to find the best and thickest milk in the can. Once opened, coconut milk will last four or five days in the fridge, and several months in the freezer. It does separate a bit after freezing, but can still be used in almost any recipe (except coconut whip) with good results. There are so many ways to use coconut milk in the kitchen; I have barely scratched the surface with the recipes here. Use these as inspiration for your next can of coconut milk, and then try branching out into coconut cake, creamy soup or satay sauce. Or you can do what I do: find excuses to make coconut whip every week. It’s better to predict than to react. Jaguar’s AWD with Intelligent Driveline Dynamics collects data 100 times a second, predicts any traction loss and transfers torque between the front and rear axles in less than 165 milliseconds to optimize grip. Always on. Always thinking. So you can always be out there, where you belong. HOW TO CHOOSE A CAN OF COCONUT MILK This might be the top favourite tip that I give in my cooking classes. The best way to choose a can of coconut milk is to shake the can. You should hear no noise, no liquid sloshing at all. Good quality coconut milk is solid at room temperature; it separates into a really thick rich cream and a thinner watery milk underneath. You should be spooning the milk out of the can, not pouring it. A good quality can of coconut milk should be at least half solid cream, plugging the can effectively, so that even the thinner milk at the bottom can’t slosh around when you shake it. Do not make a purchase decision based on price, on brand, on labels that say “coconut cream,” or even based on brands you had success with in the past. Every can of coconut milk will be different, even within the same brand. Just keep shaking cans until you find one that makes no noise. Unique Pots, Plants and Garden Accessories. for about 30 minutes, until the dried coconut has absorbed most or all of the coconut milk. Use in any recipe that calls for grated fresh coconut (eg. Coconut, Chili and Cilantro Chutney below). 1 Tbsp fresh lime juice 4 makrut lime leaves, sliced ¼ cup coarsely chopped fresh Thai basil Using a mortar and pestle, roughly mash the minced lemongrass, the minced galangal or ginger, and the sliced garlic with a pinch of salt. Alternatively, mince everything together as finely as possible on your cutting board. Open the can of coconut milk. It should have separated into a thick, spoonable coconut “cream” at the top of the can and a thinner coconut water underneath. Scoop out all of the thick cream into a liquid measuring cup, leaving the thinner water behind in the can. You should have 1 cup of thick coconut cream. If not, open a second can of coconut milk and scoop the thick milk off it until you have enough thick coconut milk to proceed. Reserve the thin watery coconut milk. Scoop about 2 Tbsp of the thick cream into a small bowl and set aside. Heat a large saucepan over medium heat. Add the oil and swirl to coat the bottom of the pan. When the oil is hot, add the curry paste and the mashed or minced lemongrass mixture. Sauté, stirring constantly for about 30 seconds, and then add 2 tablespoons only of thick coconut cream. Cook, stirring, until the oil separates from the coconut milk and most of the liquid has evaporated. The curry paste should smell fragrant, but not burnt. This cooking technique is the most important part of this recipe. Now add the rest of the thick coconut milk and bring to a gentle simmer. Add the vegetables, fish sauce and sugar. If the mixture seems too thick, add a bit of the reserved thin watery coconut milk. Simmer 5 minutes, until vegetables are just getting tender. Stir in the prawns and lime leaves. Simmer for 3 minutes, stirring occasionally, until the prawns are just cooked through. Add the lime juice and basil and remove from heat. Stir well to combine everything. Taste to adjust seasonings as necessary. Serve immediately on top of steamed jasmine rice. COCONUT, CHILI AND CILANTRO CHUTNEY Makes 1.5 cups This absolutely delicious, nutty, spicy and slightly sweet chutney is always included with breakfast in Southern India. It pairs perfectly with roasted potatoes and other root vegetables as a side dish or appetizer; it’s also excellent with crispy pappadum, chewy naan or mild lentils. It is usually made with fresh coconut, but I have used the Fresh Coconut Hack (above) in this variation. Coconut, chili and cilantro chutney. We most often encounter coconut milk in Thai food, cooked into rich curries and flavourful soups, but it can be used anywhere you might use cream in recipes. Sweet Black Rice and Coconut Pudding. To finish either chutney: Heat the oil and the mustard seeds in a small skillet over medium heat. As soon as the seeds begin to turn gray and pop, immediately pour them while still hot into your bowl of chutney. They will make a loud, hot-oil sound as you pour, but that is normal. Mix well with a spoon. Taste. You may decide that you want to use the optional lime juice (I usually only use it when I have fresh coconut) and you may want more salt. This chutney should be served at room temperature. Rinse rice well in several changes of cold water. Drain well. In a heavy-bottomed saucepan, combine water and rice. Bring to a boil, cover tightly, and reduce heat to the lowest possible setting. Let cook for 30 to 40 minutes. Meanwhile, open one of the cans of coconut milk. It will have separated into a thicker coconut “cream” at the top of the can, and a thinner coconut “water” at the bottom. Scoop off as much of the cream as possible and place in a bowl. Mix ¼ tsp of the salt and the 1⁄3 cup light brown sugar into the bowl with the cream. Place the bowl in the fridge. This will be used later on for a delicious creamy topping. Once the rice has cooked and absorbed most of the water, stir in the coconut “water” left over from the first can as well as the entire contents of the second can of coconut milk. Also add the remaining ½ tsp salt and the disks of palm sugar (or 2⁄3 cup light brown sugar, if using). Continue to cook the rice, covered, over low heat for an additional 10 to 15 minutes, stirring occasionally, until most of the liquid has been absorbed and the whole thing looks creamy and pudding-y. Pour into a large bowl and let cool to room temperature. Stir it every once in a while to prevent the top from drying out. Once cool, dish the pudding out into individual dessert bowls. Top each one with a dollop of reserved sweetened coconut cream and slices of fresh seasonal fruit. New year, new brunch. Enjoy the same mouthwatering view and let us serve you from our plated Sunday brunch menu. The same, but better. Sundays 10am-2pm | Stay tuned for holiday buffet brunch dates. Place the can of coconut milk in the refrigerator for at least an hour to chill thoroughly. Before whipping, chill a large mixing bowl and whip attachment in the fridge for about 30 minutes. Remove the can of coconut milk from the fridge. Open the can and scoop out the solid coconut cream, leaving the liquid behind. Reserve the liquid for another use (e.g. smoothies). Place the thick cream in your chilled mixing bowl. Add the sugar and vanilla, if using, and beat on medium speed until creamy and smooth with soft peaks — about 1 minute. Be careful not to over-beat! Coconut cream can get grainy and loose if it’s over-beaten. Use immediately or refrigerate — coconut whip loses its shape as it approaches room temperature. But it will keep in the fridge for four to five days. Photographer and filmmaker Darren Hull — whose work is featured regularly in Boulevard Okanagan — travelled solo to Canada’s North to explore and photograph the Dempster Highway and document the only open road to the Arctic Ocean. The Dempster Highway has been around since 1979, but the Inuvik–Tuktoyaktuk Highway officially opened November 2017 and is the first all-weather road to Canada’s Arctic coast. It is an engineering marvel, making it an enticing “bucket list” item, explains Darren. A 740-kilometre roadway from Dawson City, Yukon to Inuvik, Northwest Territories, the trip offers incredible scenery, wide-open spaces and remote beauty with the option to carry on north to Tuktoyaktuk and the Arctic Ocean. Tsiigehtchic is a Gwich’in community located at the confluence of the Mackenzie and Arctic Red rivers, in the Inuvik Region of the Northwest Territories. RBC Dominion Securities Inc.* and Royal Bank of Canada are separate corporate entities which are affiliated. *Member-Canadian Investor Protection Fund. RBC Dominion Securities Inc. is a member company of RBC Wealth Management, a business segment of Royal Bank of Canada. Insurance products are offered through RBC Wealth Management Financial Services Inc. (“RBC WM FS”), a subsidiary of RBC Dominion Securities Inc. When providing life insurance products, Investment Advisors are acting as Insurance Representatives of RBC WM FS. ®Registered trademarks of Royal Bank of Canada. Used under license. © 2012 Royal Bank of Canada. All rights reserved. place you could disappear and never be seen again. The road was not only physically rough, but it was rough on the vehicle and my body and mind. The change in the road conditions — from hard compact gravel to mud bogs — kept me on alert. There were hours that would go by without seeing another vehicle on the road. Aside from the road itself, it was the most untouched landscape I’d ever seen. The week was filled with every imaginable weather condition. The colours in early September were spectacular and the lack of bugs around that time was an added bonus. I had heard some reports of heavy insects during other times of the year, so I was happy I travelled in September. It’s a trip I know I will need to take again, and the planning is already underway. PHOTOS BY SPIRIT OF THE WEST ADVENTURES. The next morning, we quickly get into the groove of our fourday stay with a paddle after breakfast. Guide Mitch Raynard helps me into my kayak and I push off into the bay where yellow blades of bull kelp float on the surface like Rapunzel’s hair. Once everyone’s afloat we group up and paddle along the rocky shoreline, keeping one eye out for black bears that might be foraging for shellfish at low tide and another eye on the horizon for tell-tale whale blows. The numerous small islands in this area and the narrow channels between them provide protected kayaking routes, even in windy weather, Ashley explains when we break for lunch on a beach strewn with bleached and broken shells. The Broughton Archipelago is known for its ancient clam gardens cultivated by indigenous people over the millennia. The terraces of some are still visible today, along with shell middens. After a picnic lunch we explore one small island on foot, stopping to examine culturally modified trees and learn more about the importance of Western Red Cedar to coastal First Nations. It was the “tree of life,” used to make everything from clothing to canoes and from baby baskets to burial boxes. Paddling back to camp the tide has changed and now we’re going with the current. Before we know it, home base is just around the corner. “Let’s aim for the hot tub,” says Ashley as Swanson Island comes into sight. While we’ve been off having fun, camp chef Gaspard Laniece has been hard at work, and awaiting us in the lounge is a beautiful spread of hors d’oeuvres; cheese and crackers, cold cuts and smoked salmon, olives and bread. special place, we all feel lighter, happier and more in tune with a natural world that never ceases to amaze. Inspired by impossible situations. Created to enrich the lives of Veterans. Worn to show love and support. This Beautiful jewellery line is designed by Kelsi Sheren, a Canadian Veteran. With partial proceeds beneﬁting Veterans in Canada and around the world. with baggallini and pacsafe at Pharmasave Broadmead! with baggallini and pacsafe prod Pharmasave withatbaggallini andBroadmead! pacsafeBroadmea product Pharmasave Broadmead Village Shopping C at Pharmasave Broadmead! pacsafe was established in 1998 by two ‘Au friends visited 80‘Aussie’ countri pacsafe waswho’ve established inmore 1998than by two Their experiences convinced them o with baggallini and pacsafe products convinced them of the net Their experiences friends who’ve visited more than 80 countries. A COLLECTION OF ALL THINGS ARTSY, FUN AND SPECTACULAR HAPPENING IN VICTORIA THIS APRIL AND MAY. ENJOY A RETROSPECTIVE OF MASTER PORTRAIT PAINTER MYFANWY PAVELIC, THE LEGACY OF LOUIS ARMSTRONG AS CELEBRATED BY TRUMPETER PATRICK BOYLE AND AN ENGAGING COMEDYDRAMA AT THE BELFRY THEATRE. ENTION the Maya and most people think of their iconic calendars, those massive stone discs covered with beautiful, enigmatic symbols. What’s less well known is that over a thousand years ago the Maya — sometimes referred to as the Greeks of the New World — reached astonishing heights of sophistication in the fields of mathematics, astronomy and other sciences. Their rich culture and profound accomplishments are explored in Maya: The Great Jaguar Rises, a blockbuster exhibition that is getting its world debut at the Royal BC Museum. Jade masks were precious grave goods for kings and high nobles. Large masks were placed on the heads of deceased individuals, while small masks such as this one adorned belts and headdresses. Jade, shell and obsidian. Classic period (250 to 900 CE). Oak Bay Fine Floors Scene from Jersey Boys. Hardwoods • Floor & Wall Tiles Wool Carpets • Vinyl Plank • In-floor Heating We specialize in natural products, friendly staff, excellent service and installations. Inspired by a recent Maya-themed exhibition in Spain, albeit one featuring artifacts drawn from the collections of European museums, the RBCM negotiated directly with Guatemalan authorities to produce its own, expanded portrait of classical and contemporary Mayan culture. From exquisite jade jewelry and ceramic figurines to massive stone stelae, literally weighing tons, the exhibition will be a showcase for exotic, mostly unknown treasures. “This will be the first time that many of these objects will have been seen outside of Guatemala,” explains Janet MacDonald, the RBCM’s Head of Learning. “These are masterpieces, from miniatures to the monumental.” Aside from presenting more than 300 artifacts, Maya will be stimulating in other ways, from the wafts of traditional copal incense that will greet visitors to hands-on replicas, multi-media presentations and even a “birthday machine” that allows users to key in their birth date and generate a translation into Mayan hieroglyphs that they can email to themselves. “From floor to ceiling this will be an incredible visual experience,” promises MacDonald. Running from May 17 to December 31. For tickets and information see rbcm.ca/maya. Patrick Boyle — celebrating the music of Louis Armstrong. Helping you Helping you Helping you make better make make better better investment investment investment decisions. decisions. decisions. WorkWork with an Investment Advisor who listens, an Advisor who listens, Work with with anInvestment Advisory Team that listens, Work with an Investment Advisor who listens, understands and offers clear solutions. understands and offers clear solutions. and offers clear solutions. understands andunderstands offers clear solutions. Contact me today. me today. Contact us today. Contact meContact today. BMO Wealth Management is the brand name for a business group consisting of Bank of Montreal and certain of its affiliates, including BMO Nesbitt Burns Inc., in providing wealth management products and services. ® “BMO (M-bar roundel symbol)” is a registered trade-mark of Bank of Montreal, used under licence. ® “Nesbitt Burns” is a registered trade-mark of BMO Nesbitt Burns Inc. BMO Nesbitt Burns Inc. is a wholly-owned subsidiary of Bank of Montreal. If you are already a client of BMO Nesbitt Burns, please contact your Investment Advisor for more information. BMO Nesbitt Burns Inc. is a Member - Canadian Investor Protection Fund. Member of the Investment Industry Regulatory Organization of Canada. “Two of them had already done substantial time in jail,” notes McAnuff, who credits a fascination with organized crime for part of the musical’s attraction. “And because the actual members of the group aren’t really known, 20 minutes into the show those performers have become the Four Seasons,” explains McAnuff. “The audience gets taken on a real voyage of discovery.” Although touring shows spun off from Broadway can sometimes be a disappointment, the Jersey brand is known for its quality control. “This show is very, very faithful to the original,” states McAnuff, who has remained hands-on with all the details, from production values to casting. A Renaissance man who has directed at NYC’s Metropolitan Opera House, directed two movies and been artistic director for six years at Canada’s Stratford Festival (he’s a dual citizen), McAnuff refuses to choose between the shiny realm of musicals and the darker theatre of Shakespeare and Shaw. “I’ve had a very… confused career,” he laughs. “Directing is a dilettante’s dream; you get to creatively explore a new world with every project.” Running from May 28 to June 2 at the Royal Theatre. For tickets, call 250-386-6121. 4000 Miles director Anita Rochon. and poignance,” says Vancouver-based Anita Rochon, an awardwinning director who has worked extensively with the Belfry Theatre. “The script depicts two extremely different characters who are both living in the shadow of death, but at very different times in their lives.” According to Rochon, Vera and Leo’s struggle to find a deeper connection allows the play to explore the benefits of the willingness to change and to shift ideals. “The ideas in Miles are very brave and my job is to uphold that boldness,” Rochon adds. Running from April 9 to May 5 at the Belfry Theatre. For tickets, call 250-385-6815. Cecily, Reggie and Wilfred are old friends, amusingly mismatched and mostly amiable, and they find their daily routine thrown into an uproar with the arrival of the imperious Jean, a true diva and frenemy, who is more than capable of stirring up old rivalries and resentments. But even as some long-buried secrets leak out, the four singers forge ahead with plans for the home’s annual musical performance. “The second half is a bit like that ‘Let’s put on a show!’ trope associated with Mickey Rooney and Judy Garland,” says Scheer. Ah, but will these frail, faltering singers — who achieved their greatest fame years before when performing the cherished quartet from Rigoletto — be able to revive any of the glory of those rosy earlier days? “It becomes the final story of who these people really are,” Scheer adds. Playing April 17 to May 4 at Langham Court. For tickets, call 250-384-2142. Myfanwy Pavelic’s Hand on Chin, 1991. Graphite on paper. Collection of University of Victoria Legacy Art Galleries; Gift of the Estate of Michael C. Williams. Senate in 2016 — and despite her considerable workload she couldn’t resist undertaking this major appraisal of Pavelic’s legacy. “I admire her ability to see within,” Bovey says. “Her paintings depict both the external physical reality and the psychological ‘inscape’…she is a very, very perceptive artist.” Pavelic’s great technical skill and penetrating insight were widely acclaimed. Her many honours included the Order of Canada. The British National Portrait Gallery hung her portrait of Menuhin in its permanent collection — making her the first Canadian-born artist to be thus acknowledged. Myfanwy Pavelic will comprise up to 50 works, with the portraits being shown at the downtown gallery, as well as a biographical video by fellow artist Karl Spreitz. “One wall will resemble the way she used to hang her paintings at her beautiful studio in the Saanich Peninsula,” adds Bovey. “It was huge — the most amazing studio I’ve ever been in.” According to Bovey, who knew Pavelic well both professionally and personally, this deeply observant artist felt like an outsider and was often lonely. “She could be exceptionally hospitable but was socially private,” Bovey says. “She didn’t fill her time with people; she wanted to fill her time with painting.” Running from May 18 to September 21 at 630 Yates Street and also at UVic in Legacy Maltwood in the McPherson Library. For information, see Legacy Art Gallery. Includes a unique thermochromatic raw temperature indicator that help you maintain a raw temperature in your blend. 2.5hp motor. Triangle Healing Products offers an amazing range of well-researched products that enhance well-being! *2019 Volvo XC60 Momentum T5 AWD/2019 Volvo XC90 Momentum T5 AWD/2019 Volvo XC40 Momentum T5 AWD starts from $48,815/$61,765/$42,315 including $2,015 Freight & PDI. Documentation fees ($495), air conditioning levy ($100) if applicable, environmental levies ($25), and taxes are extra. Please see Jim Pattison Volvo of Victoria for complete details. Dealer #10900. ELOWNA-based photographer Darren Hull is a driving force behind the visuals at our sister edition Boulevard Okanagan. Even with more than 20 years of experience in the industry, he brings fresh enthusiasm to every assignment. For a bit of a twist, this edition of Boulevard Victoria presents Darren’s “bucket list” trip along the Dempster Highway to the Arctic Ocean. His piece in our Travel Far section is beautifully portrayed through his trademark stunning visuals and a fascinating accompanying story. Comfort Air Chair The evolution of motion Weight-balanced mechanism responds to your every move.